Welcome back to another week of nifty noir! Last week we had a double-dose Jack Justice and Trixie Dixon, and they’re back again for more this show! We hope these detective stories are keeping your ears entertained as we eagerly await the results from our 6th-Annual Scriptwriting Competition. Our judges are hard at work reviewing every submission we received in order to have the winners announced on next week’s show, so be sure to tune in and good luck to everyone! And on that note, if you missed our script competition or are looking for more to try your hand at, the Marion Thauer Brown Audio Drama Script Competition has just opened up for submissions. The competition is looking for scripts that are original, family-friendly and plot-driven, with a run time of no more than 30 minutes. Deadline for submissions is May 28th, and the winning scripts will receive a cash prize and will be recognized at this year’s HEAR Now Audio Festival. In the meantime, it’s time to revisit our favorite gumshoes! With a client’s story that seems too good to be true and a crime news reporter disappearing from the streets, Jack and Trixie are going to be busy! 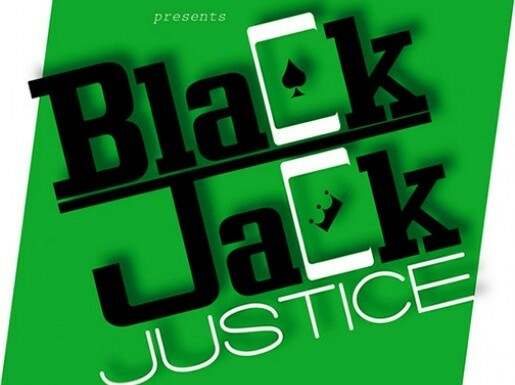 Decoder Ring Theatre shares with us Black Jack Justice, Episodes 27 and 28 – “The Family Jewels” and “No News is Good News”. Enjoy! Also, if you live in the Columbus, OH area, keep an eye out for an announcement for auditions on our webpage after our Script Competition winners have been selected! We’ll be auditioning for roles in our 2017 MAT Features in early March; don’t miss it! Previous Post: Episode 227 – Great Galloping Gumshoes! Next Post: Episode 229 – Winners!